Felina: [seeing him in that getup] Uncle... I think it's time we staged an intervention. 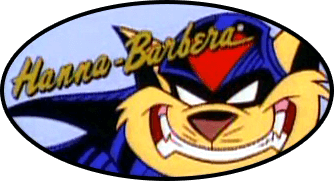 Betaruga wrote: Bro if Feral ever got the ability to completely troll the SWAT Kats he'd be the hero of the show. Like seriously I'd just love him til I died. He kind of did in Unlikely Alloys. Feral approached them saying he assumed the rescue and aftermath were the SWAT's responsibility. T-Bone thought he was just trying to pin blame on them again but Feral gave them some back-handed gratitude, saying he was "going to thank them but he changed his mind." MORE moments like those please. Feral reminds of Captain Lance from Arrow. Lance swore to take down the Hood, however after he decided to work with the Hood after seeing how he can go outside of the law to to compensate for the law's limits. Feral hated the SWAT Kats, but after seeing them save MegaKat City to many times and after nearly thanking them in the end of Unlikely Alloys, I think he would start to like them. HAHA! Oh my god, that's right. Feral totally DID troll them xD T-Bone's expression afterwards was my favorite tho. "....Are you #$&+ing serious?" SwatKatsFan1 wrote: I think he would start to like them. I can see that happening and then someone else moves in and hates on the SKs. Could be some council person or official. Still waiting for more mobsters and political intrigue/corruption. Yeah: like in MBI, Mayor Rex ordered the Enforcers to go after the Swat Kats after replacing Manx through illegal means, in End of the Swat Kats where District Attorney Mills wants them to stay in jail and General Boggs being rude to them, and in my fanfic world where the regular Callie gets replaced by her evil counterpart. 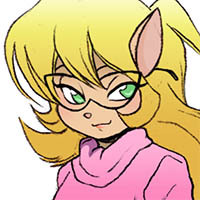 SwatKatsFan1 wrote: Yeah: like in MBI, Mayor Rex ordered the Enforcers to go after the Swat Kats after replacing Manx through illegal means, in End of the Swat Kats where District Attorney Mills wants them to stay in jail and General Boggs being rude to them, and in my fanfic world where the regular Callie gets replaced by her evil counterpart. Betaruga wrote: T-Bone thought he was just trying to pin blame on them again but Feral gave them some back-handed gratitude, saying he was "going to thank them but he changed his mind." MORE moments like those please. Dr. Greenbox has a long, horse face, btw.